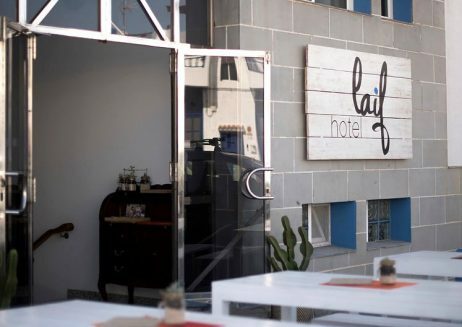 The Laif Hotel is situated in the center of El Cotillo and it's only a few minutes on foot to our surf school. 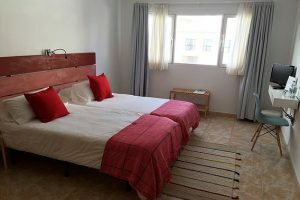 This is the right place for you if you are looking for a beautiful accommodation in a great location. 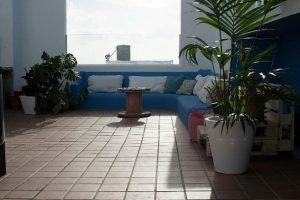 From the large roof terasse with pool you have a fantastic view of the ocean - perfect for a relaxing drink at sunset. Close to the hotel you will find the old harbour with great restaurants and bars. If you want to have breakfast in the hotel you have a nice choice of different types of breakfasts. Accommodation at Laif Hotel is available in a package with our surf lessons. Here you can find more information about our surf lessons: surf lessons.